In September, 1522, Luther published the first edition of his translation of the New Testament. 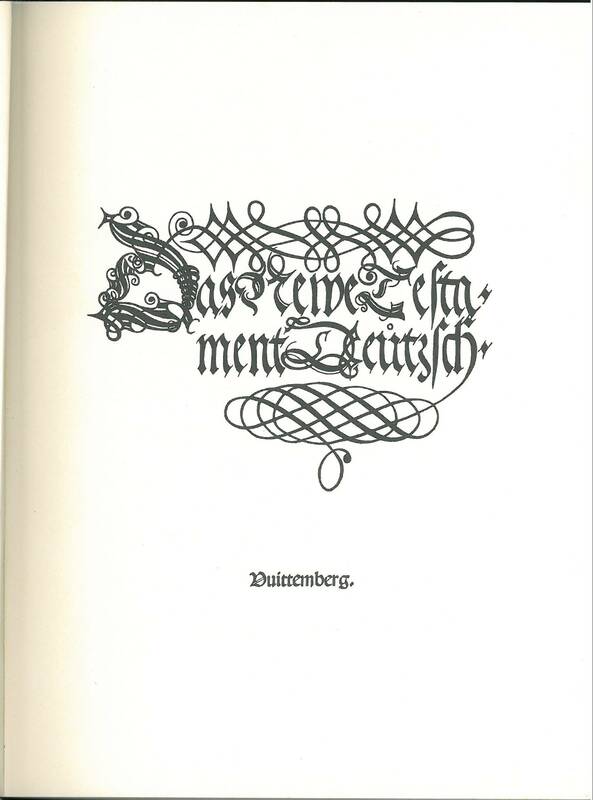 He had begun that during his stay at the Wartburg, in eleven weeks from December 1521 to February 1522. 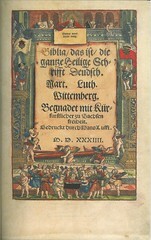 Some 3-5,000 copies were printed and by December, 1522, a second edition, called the "December Testament" had to be published. After publishing the September and December 1522 editions of the New Testament, Luther began work on a translation of the Old Testament. He published the Pentateuch in 1523, Joshua-Esther and Job-Song of Solomon in 1524, and the Prophets in 1532. Finally, in 1534, he published the whole Bible including the Apocrypha. 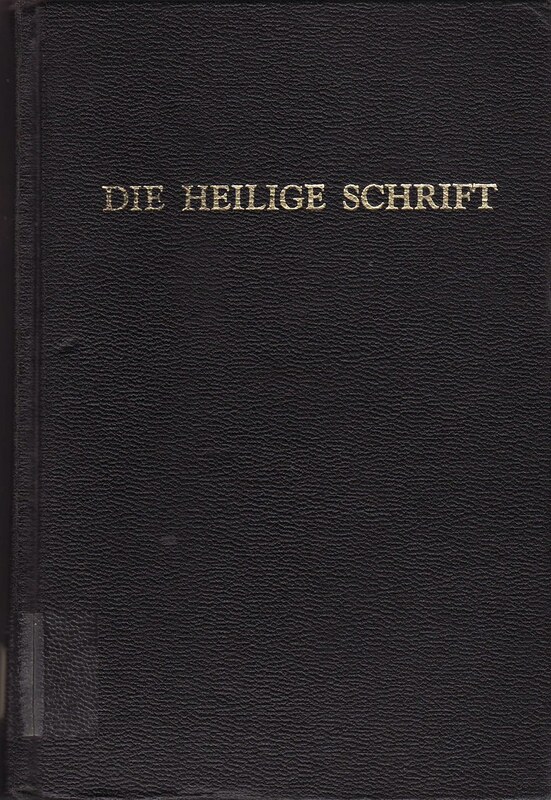 Title: Biblia das ist die gantze Heilige Schrifft Deudsch. Mart. Luth. 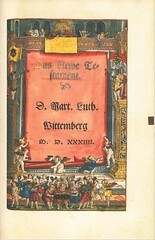 Wittemberg. / Begnadet mit Kurfürstlicher zu Sachsen freiheit. 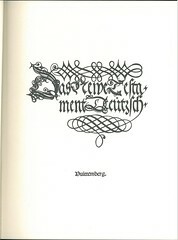 Images: Title page, New Testament Title page (from the Taschen facsimile). The first Bible printed in what is now the United States was published by Christoph Saur in Germantown, Pennsylvania in 1743. 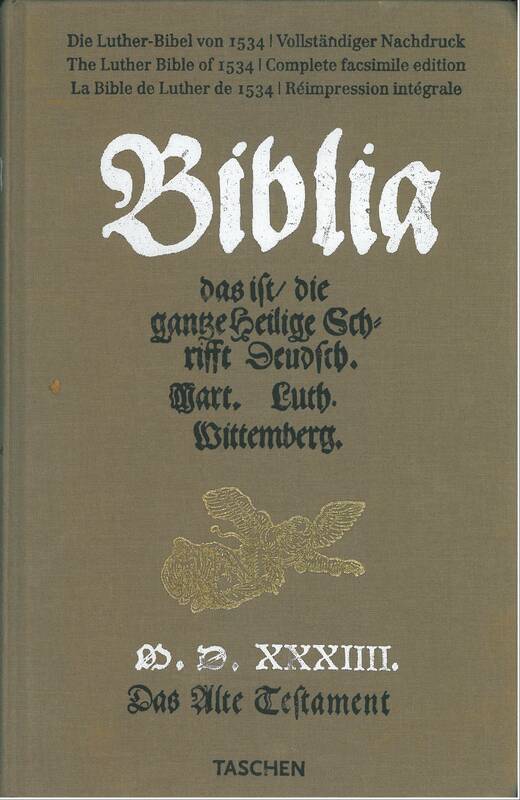 He and his son (also Christoph Saur) continue to print German language Bibles and Psalters until the late 1700s. 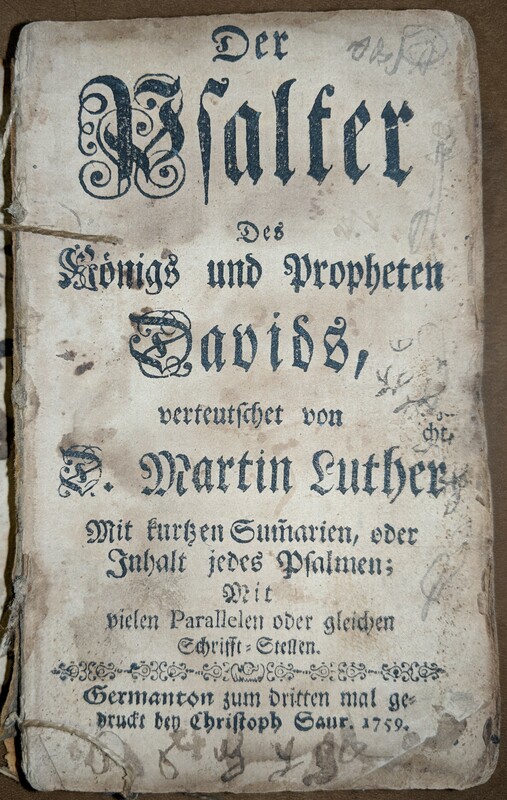 Title: Der Psalter des Königs und Propheten Davids, / verteutschet von D. Martin Luther; mit kurtzen Sum̄arien, oder Inhalt jedes Psalmen; mit vielen Parallelen oder gleichen Schrifft-Stellen. Publisher: Germanton [Pa.]: Zum dritten Mal gedruckt bey Christoph Saur., 1759. 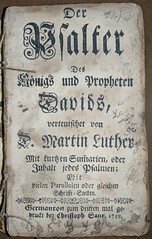 Contents: Psalms by Martin Luther, including Psalm 151. 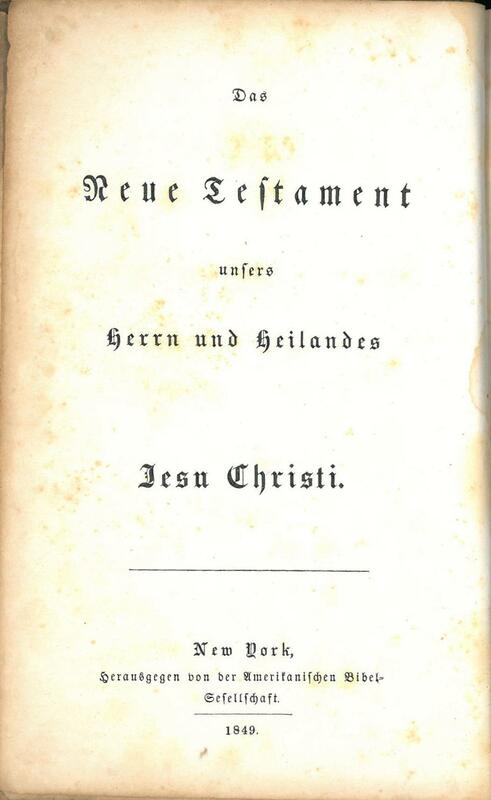 Title: Das Neue Testament unsers Herrn und Heilandes Jesu Christi. 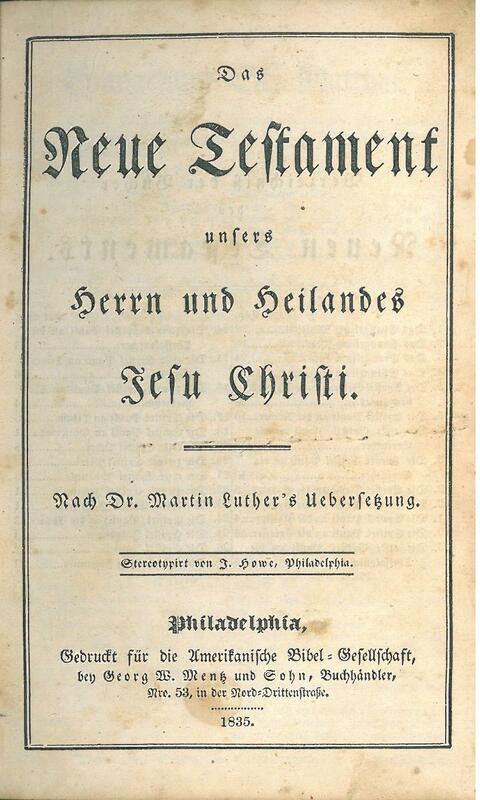 Nach Dr. Martin Luther's Uebersetzung. 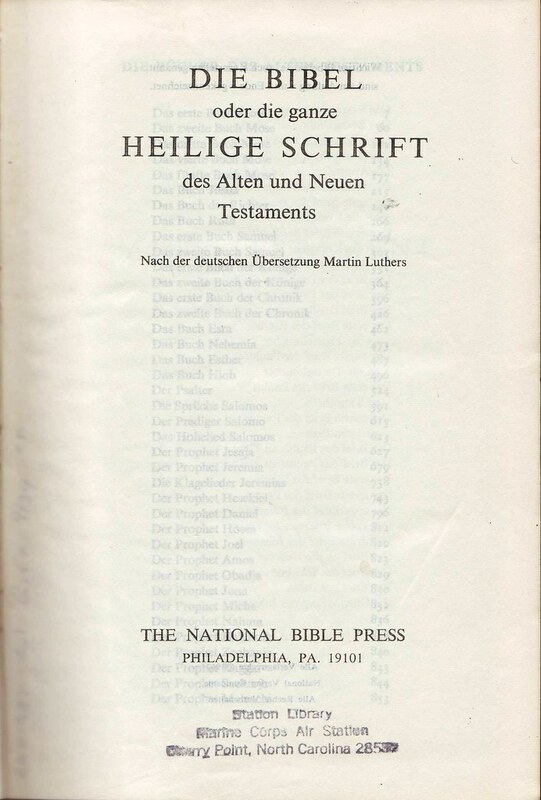 Title: Die Bibel ober Die ganze Heilige Schrift des alten und neuen Testaments. 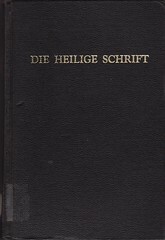 Comments: This is the 18th edition of the German Bible published by the American Bible Society. Remark: Through a printer's error, two letters are missing in the "edited" line: "Herausgegen" is "Herausgegeben". Title: Das Neue Testament unsers Herrn und Heilandes Jesu Christi. 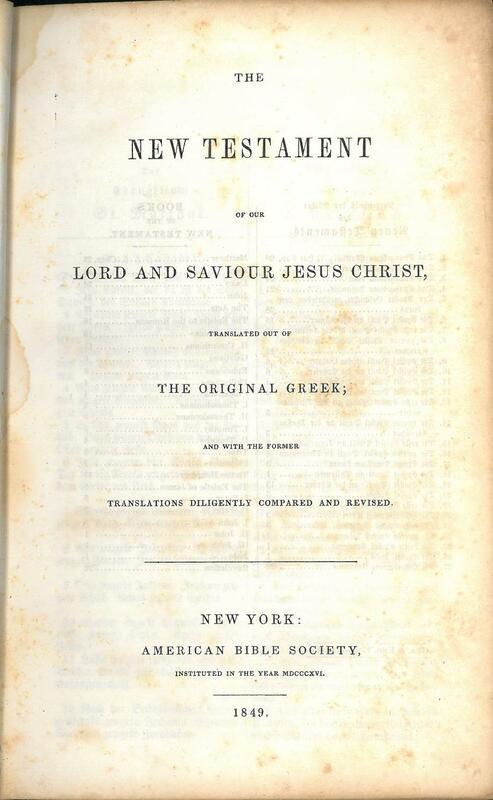 / The New Testament of our Lord and Savior Jesus Christ translated out of the Original Greek; and with the former translations diligently compared and revised. 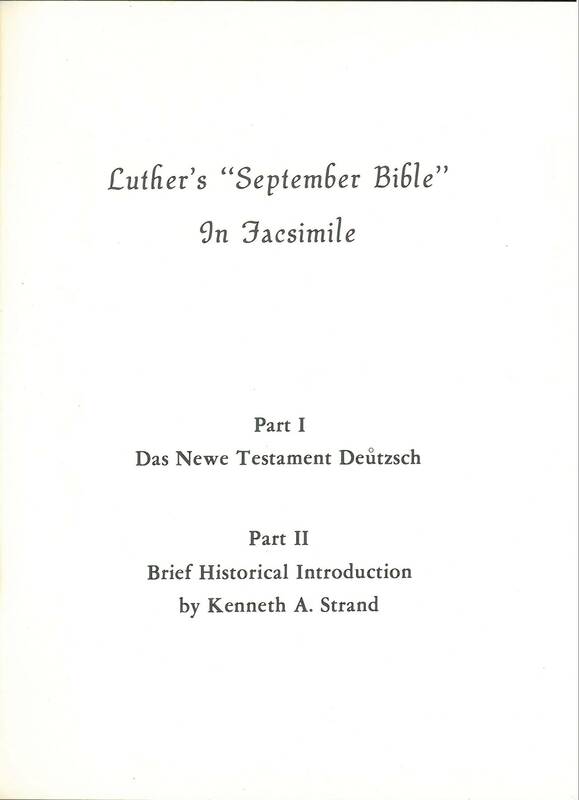 Contents: New Testament in German and English in parallel columns. 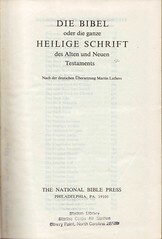 Comments: This is the First edition of the German / English parallel New Testament. 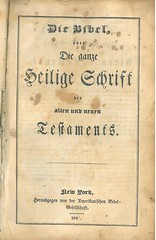 A second edition was also published in 1849. 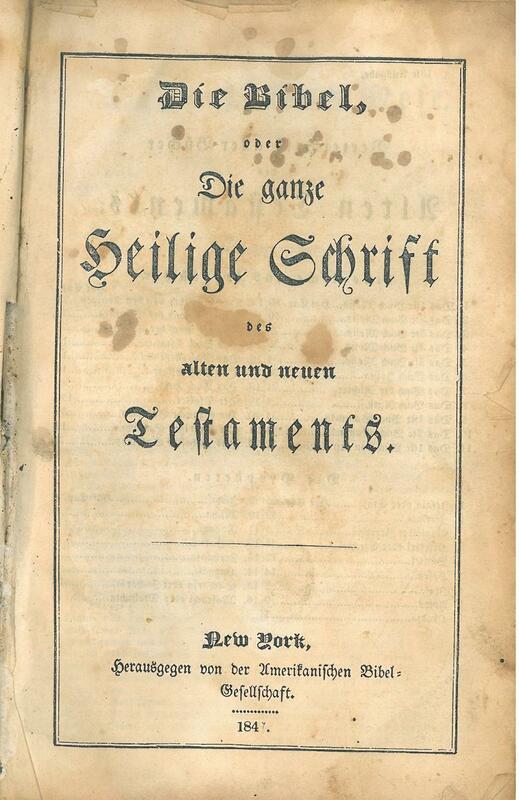 Remarks: As in the 1847 edition, two letters are missing through a printer's error in the "edited" line of the German title page: "Herausgegen" instead of "Herausgegeben". Comments: This contains a 1964 Old Testament translation and a 1956 translation of the New Testament.